Most of the producers we work with in Burgundy boast learning the art of winemaking from their fathers, who learned from their fathers and so on going back many generations. Jérôme Galeyrand is the exception that proves that with a passionate hand even people that were not born in the vineyards can make exceptional wines. 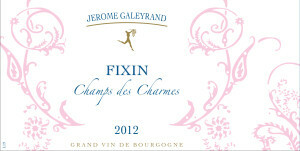 Jérôme Galeyrand become passionate about wine while working in the food industry. His passion eventually led him to Burgundy where he attended the famous wine school of Beaune to study winemaking. In 2002, he purchased his first vineyards and his first harvest was in September of that year. That first harvesting was carried out entirely by hand by a group of friends and the wine was made in the basement of his home. Now, the vintage is still carried out by hand but Jerome employs the help of others to pick grapes, as his domaine has expanded. 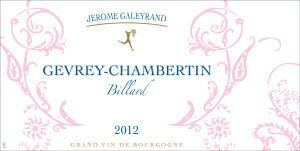 Jerome also grew out of his home and purchased a little cave in the town of Gevrey-Chambertin where he makes his wines. The other big change since that first vintage in 2002 is that the domaine is now certified organic. Since 2008, Jerome felt he simply could not make wines he didn’t believe in and he didn’t believe in putting any kind of chemicals into the soil. We are very proud to work with this tiny estate in Gevrey-Chambertin. 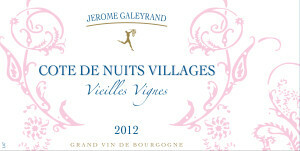 The production is miniscule at 25,000 bottles but we are thrilled to bring these wine to Burgundy lovers in America. This gem from the Cotes de Nuits comes from vines planted on clay-limestone soil, on hillside, the vines are oriented southeast. As with all the wines from Jerome Galeyrand, this wine is certified organic and the winemaker works the land himself without any synthetic fertilizers or chemicals. The winemaker fights diseases in the vineyard and pests using only organic substances. Winemaking: Pre-fermentation cold maceration at 16 ° for 4-8 days, before fermentation is started with native yeasts. The wine is ages in oak barrels (of which 20% are new) for 16 months. This wine is an assemblage of two parcels in the Cotes de Nuits - the youngest vines were planted in 1947 and the oldest were planted in 1925 (making them close to 90 years old!) Production: 5000 bottles Tasting Notes: Aromas Cassis and red fruits, aromatic palette of flavors futures.